Our Monkey Bars products all harmonize perfectly together to create the dream garage makeover in Flagstaff that you've always wanted. Not only have we designed our products to be functional and efficient, but they are designed to match in style and color as well. Desert Stone and Granite Gray are the two finishes that our shelving systems come in. Our Overhead racks are also available in these same powder coated finishes. Our cabinet handles, shelving hooks, slatwall accessories, and any other hardware comes in the Graphite Pearl finish. This coordinates perfectly with both shelving finishes to create a beautiful, cohesive look. Customize your Monkey Bar cabinets with choices between a wide variety of colors and color combination finishes. Choose something that will fit your needs and style. We have multiple different color options for epoxy floor coatings and modular floor tiles. 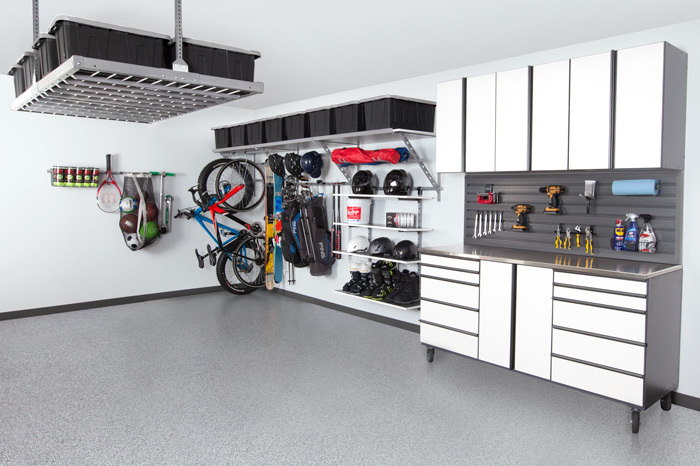 This will protect your garage floor from every day wear and tear as well as add style that ties all of your garage products together. It is safe to say that we know garages inside and out. Through our many years of experience we have learned that the most functional, organized garages are those that use a variety of coordinating products. This ensures that each product works well and looks good together. Think about how much cleaner your garage could look by having a complete garage makeover in Flagstaff. 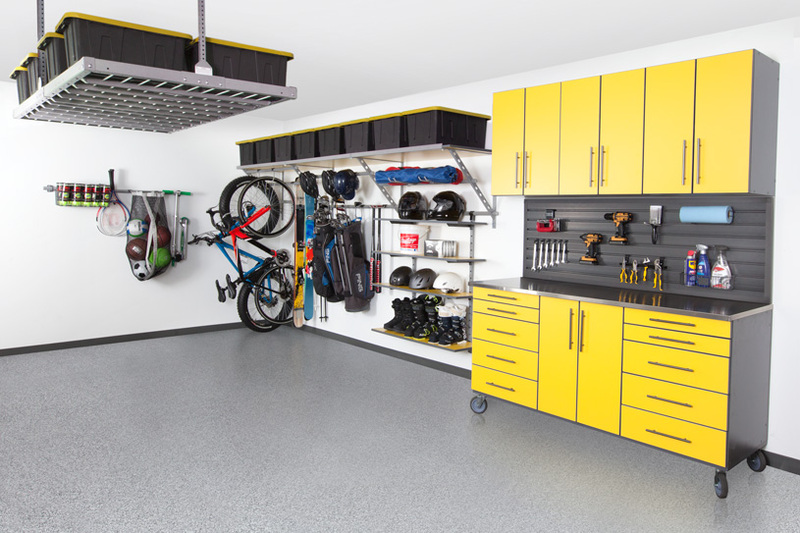 You no longer need to use cheap, mismatched items to keep your garage organized because all Monkey Bars products are long-lasting offered to you at a very affordable and competitive price. You can now have an efficient garage system that you can be proud of. Garage Storage Solutions is the exclusive distributor for Monkey Bars Garage Systems in Flagstaff. We create the highest quality patented garage storage products and are the nation's leading garage enhancement system. We even take it up a notch by paying attention to detail in style and appearance.